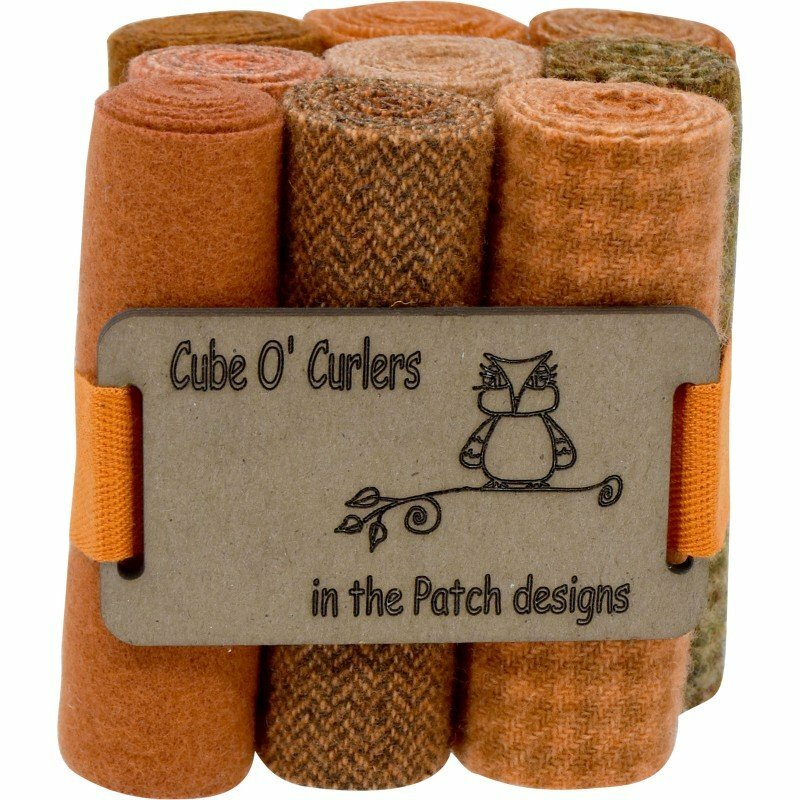 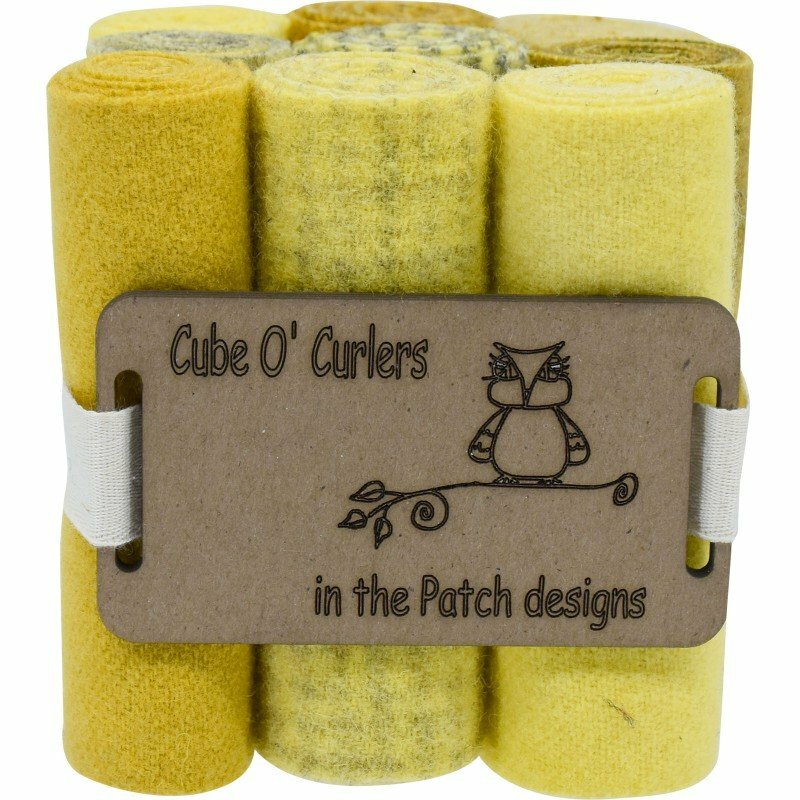 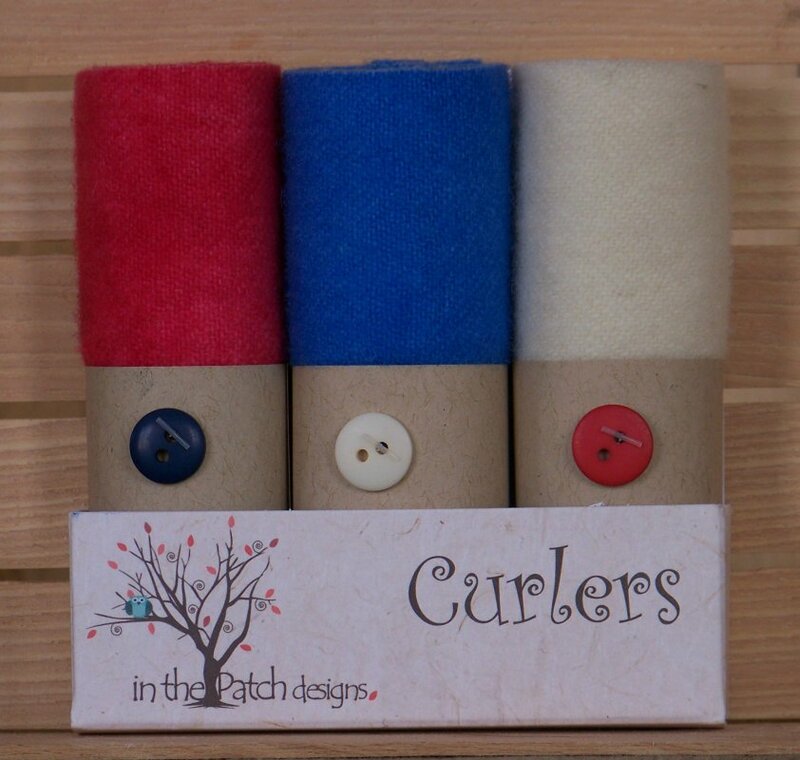 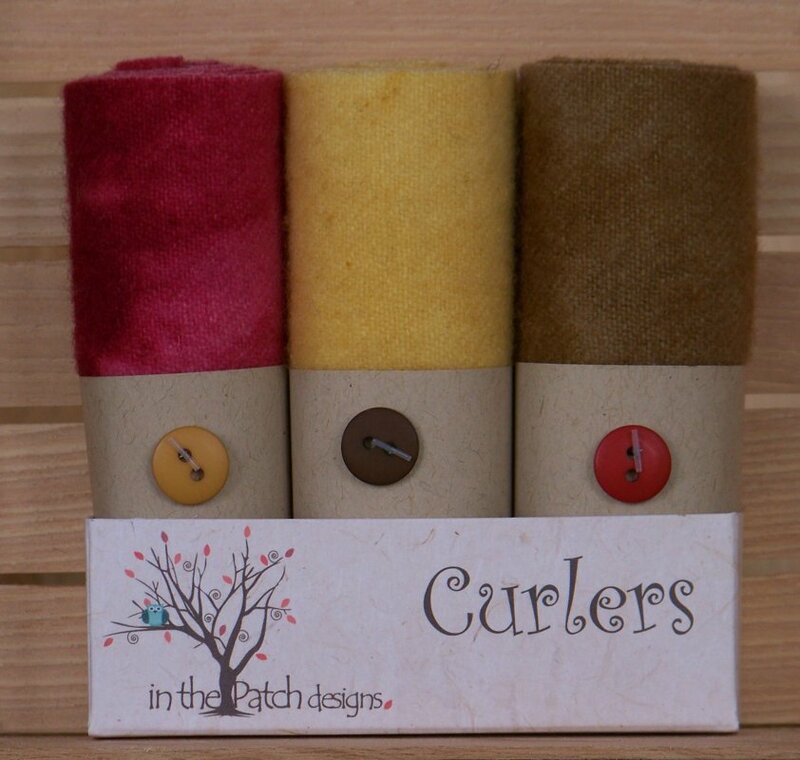 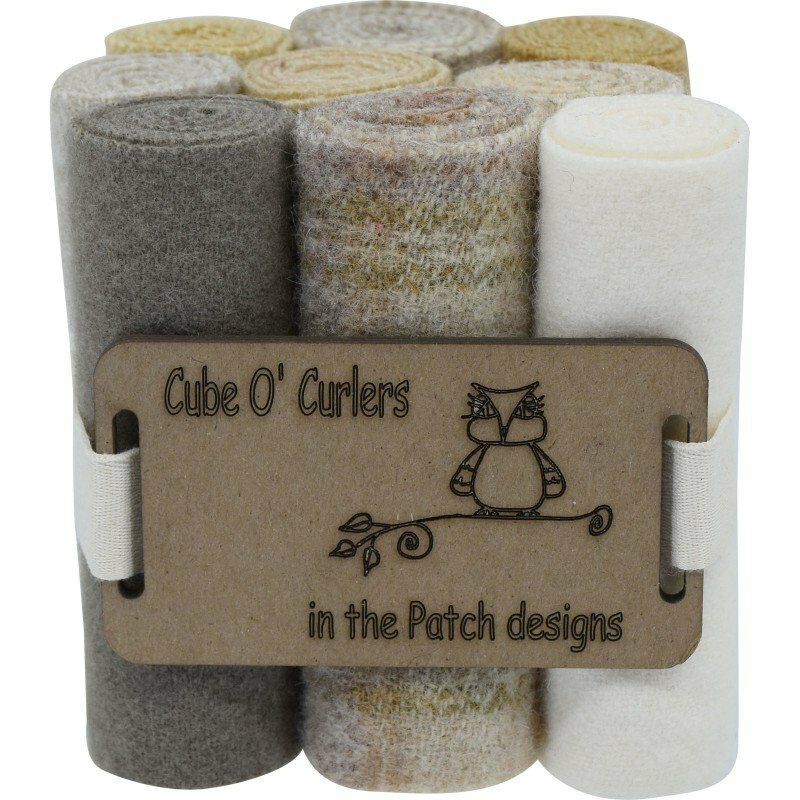 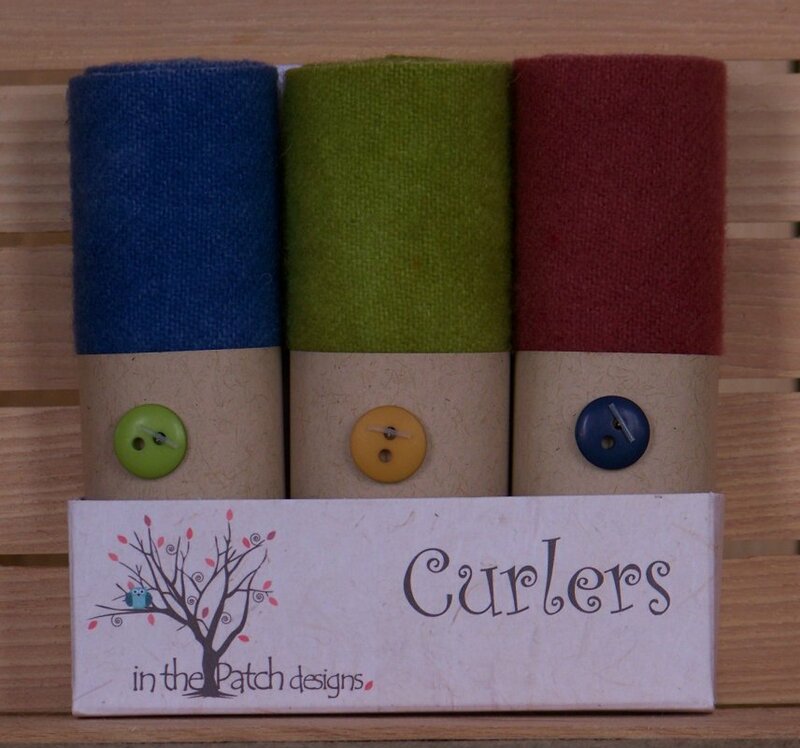 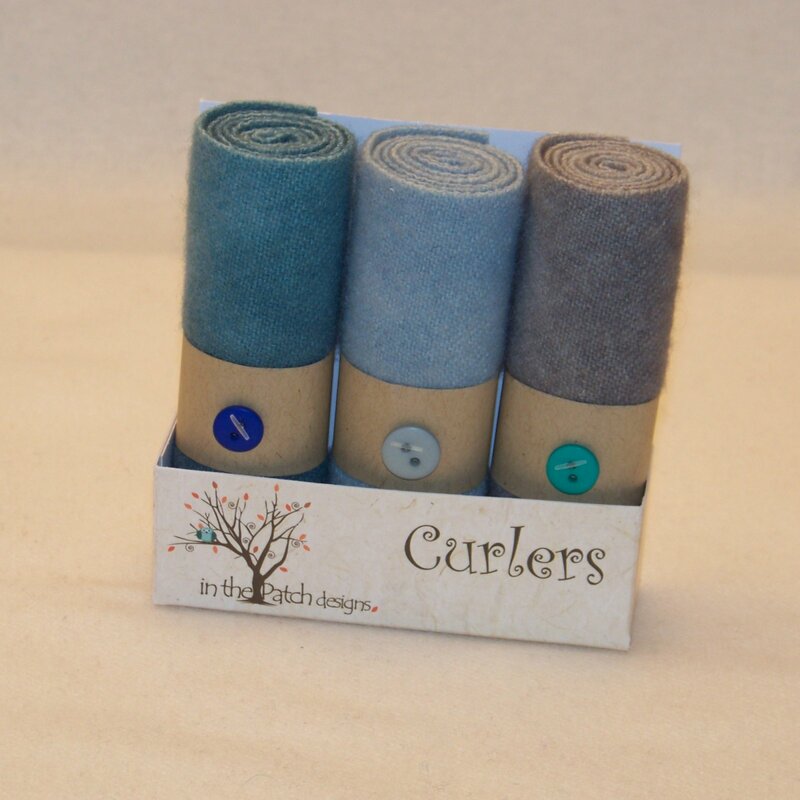 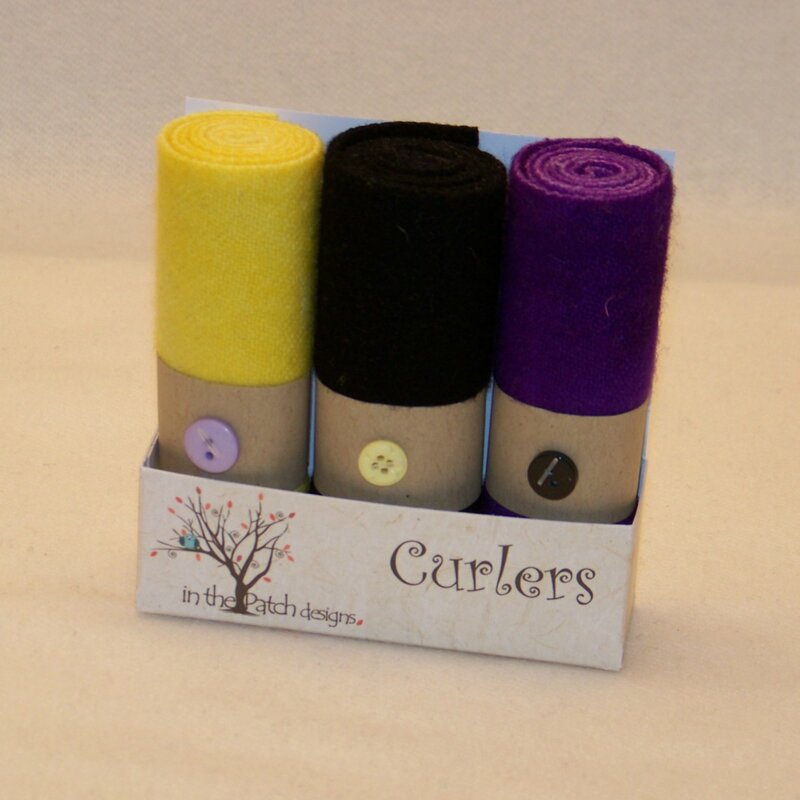 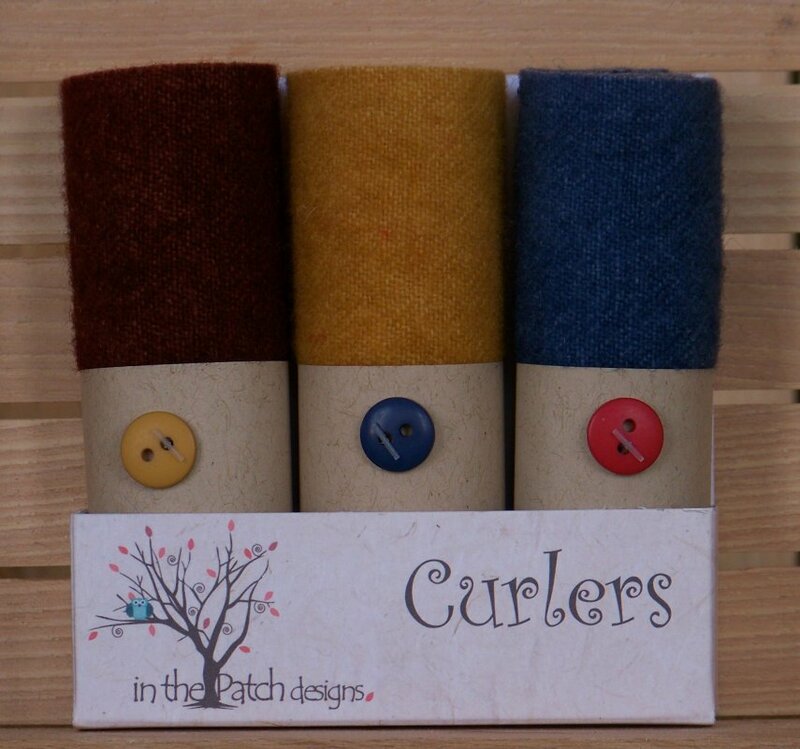 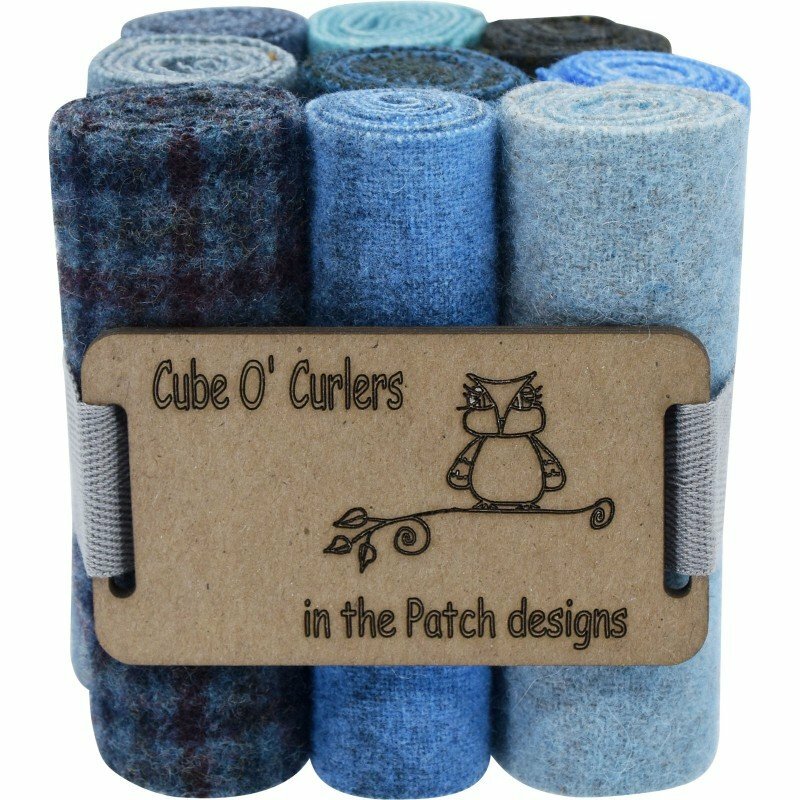 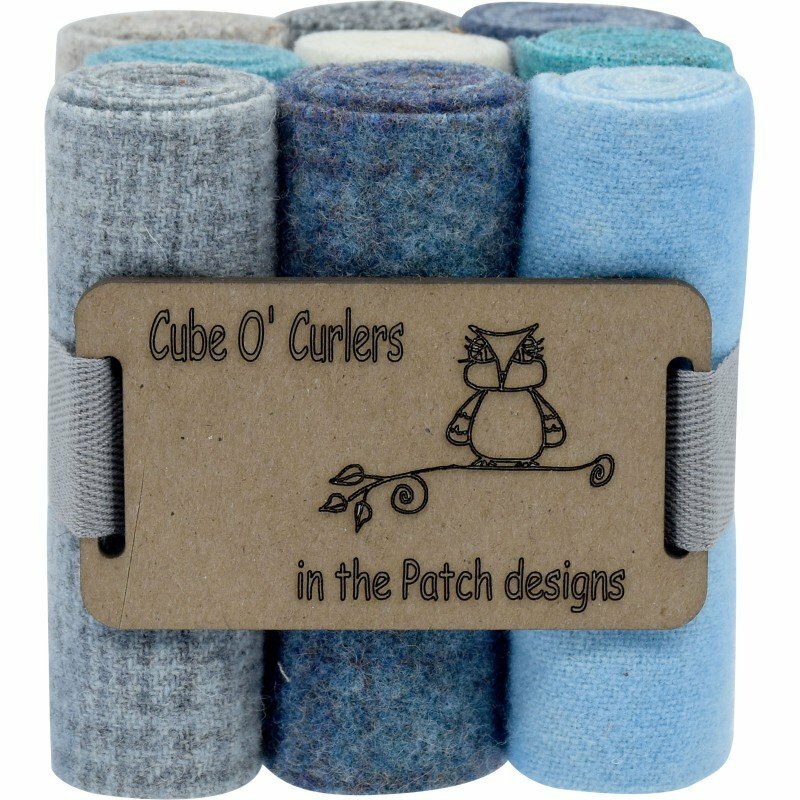 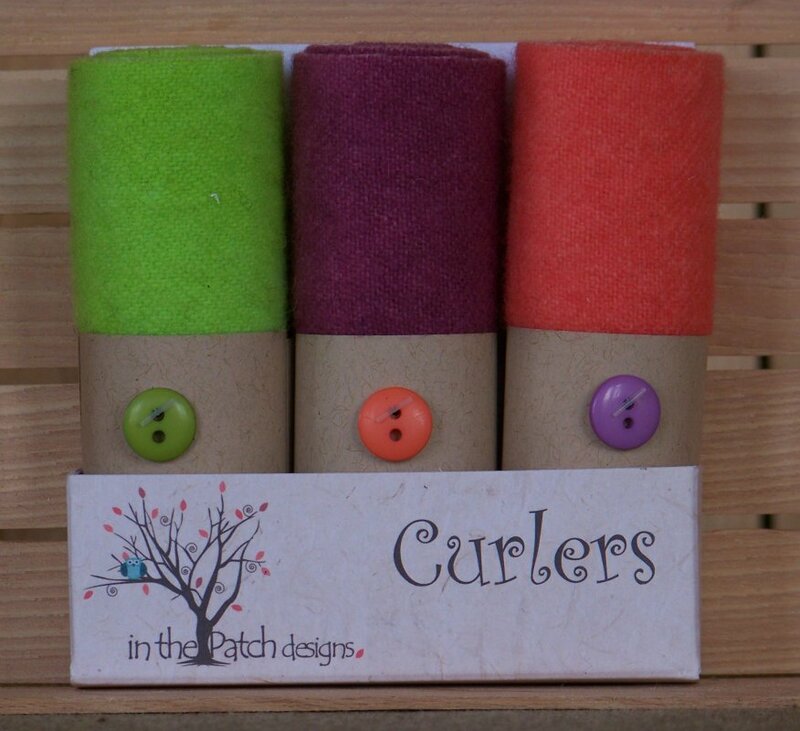 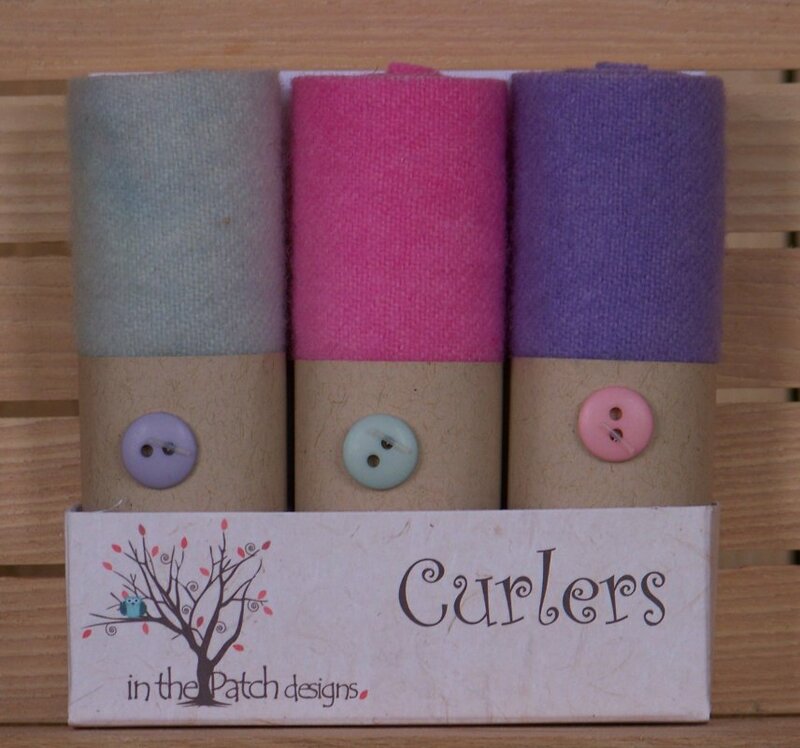 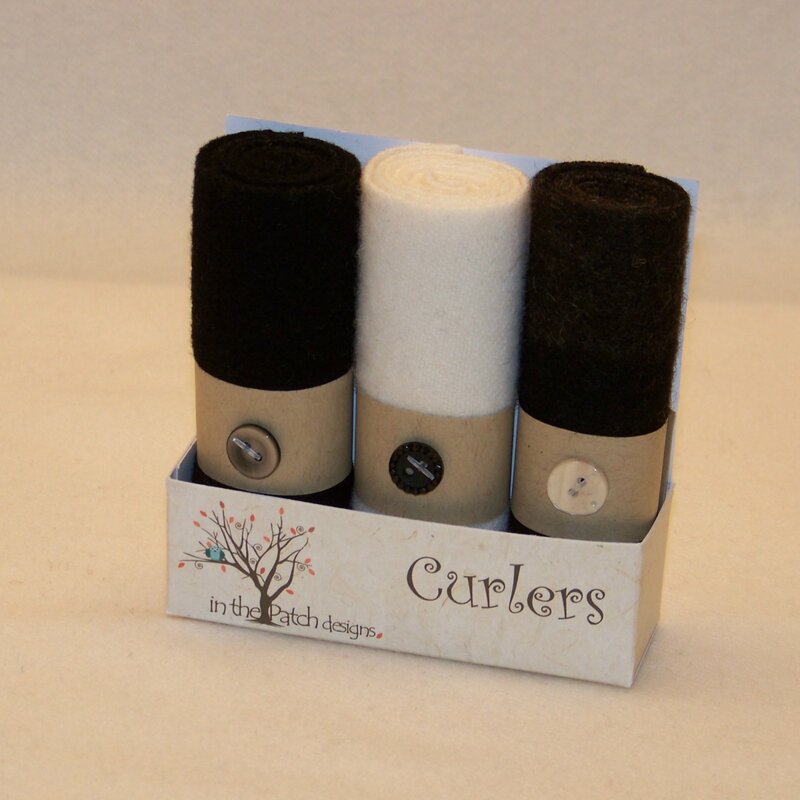 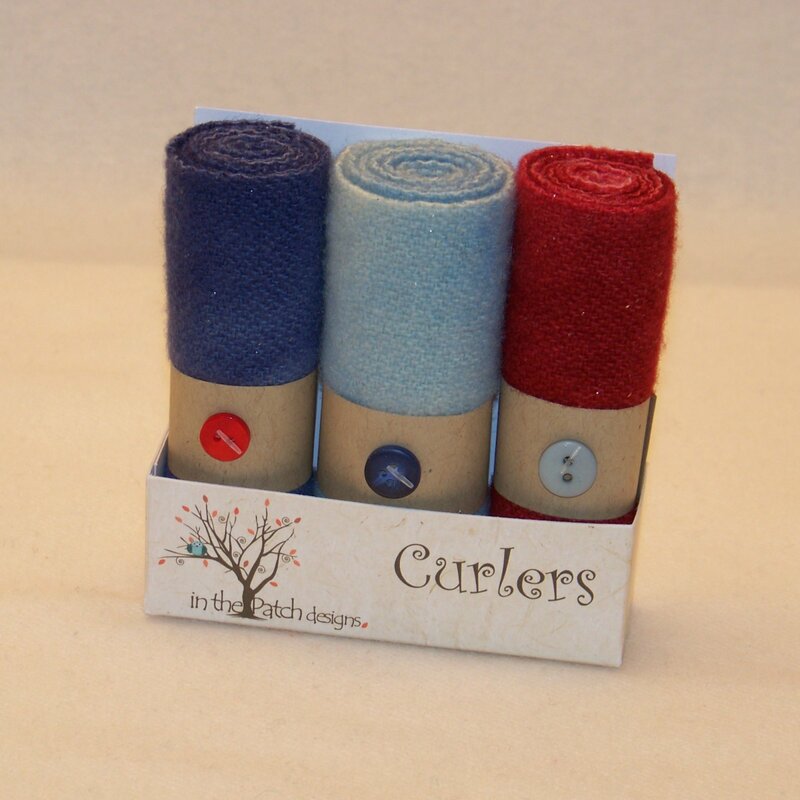 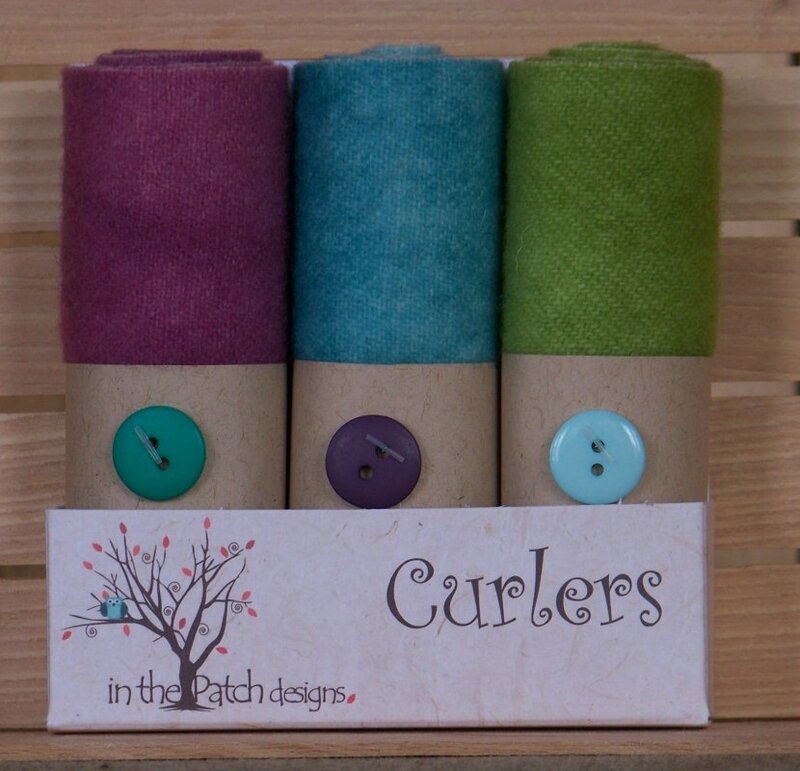 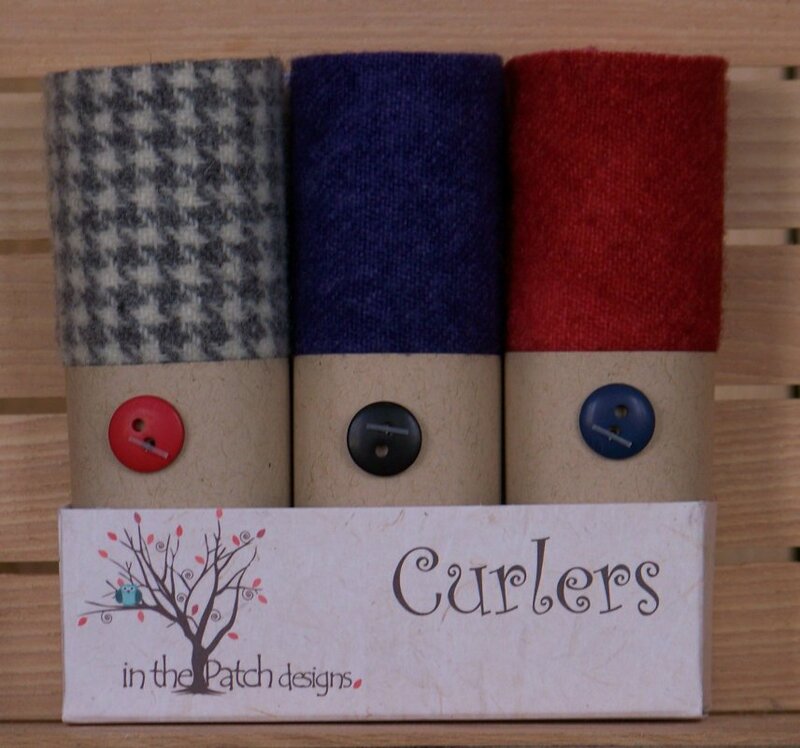 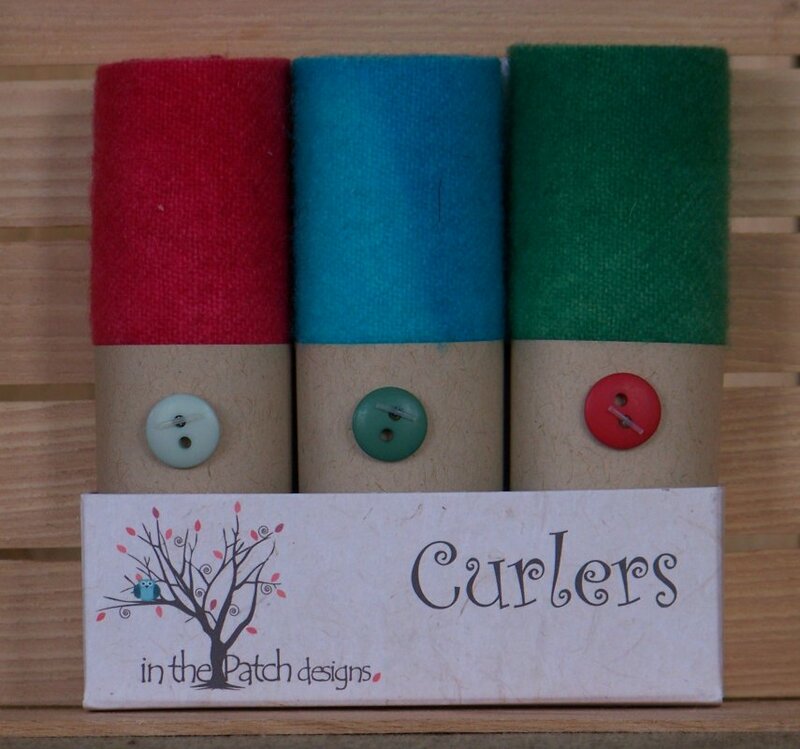 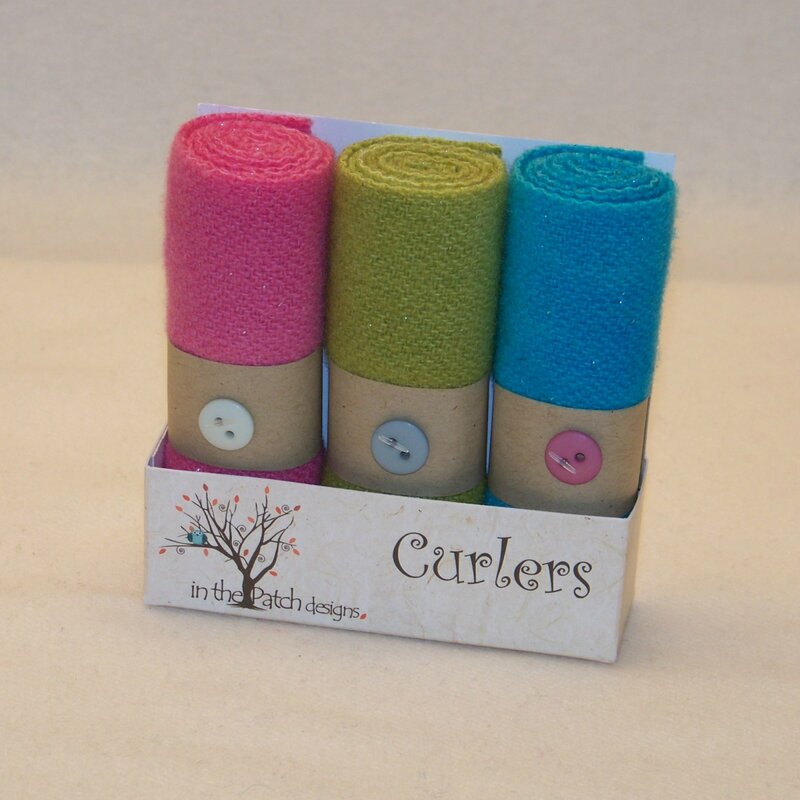 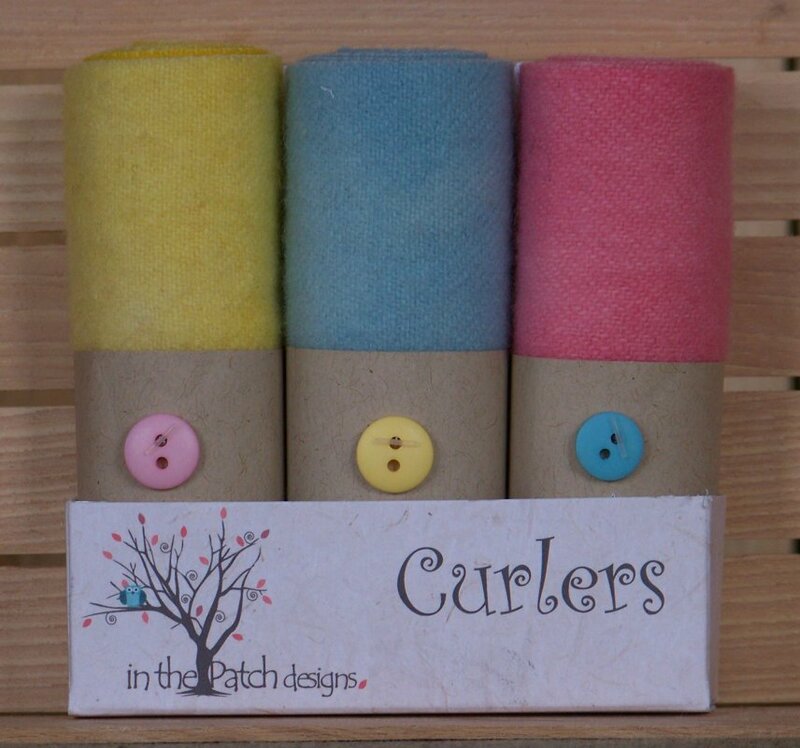 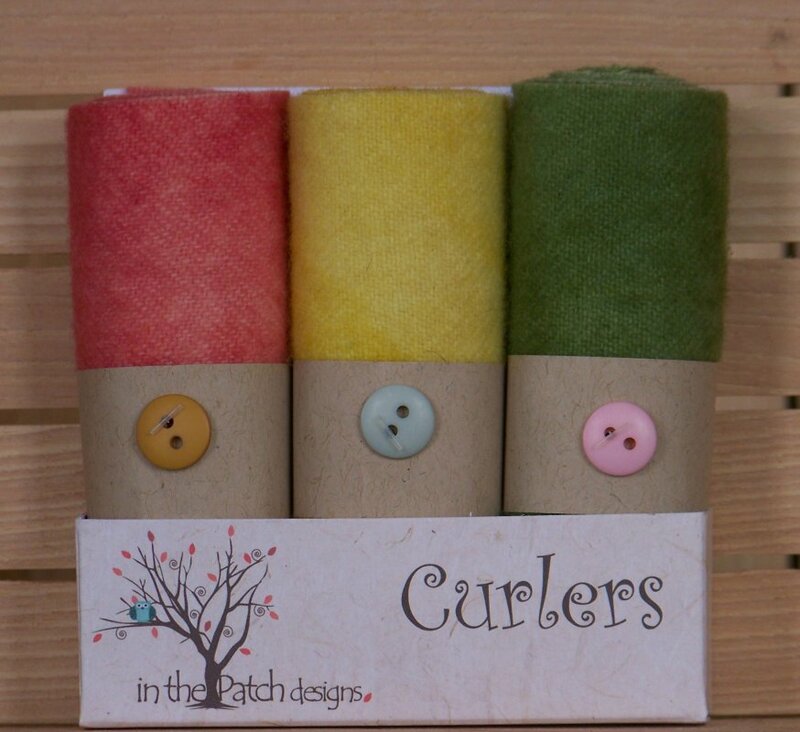 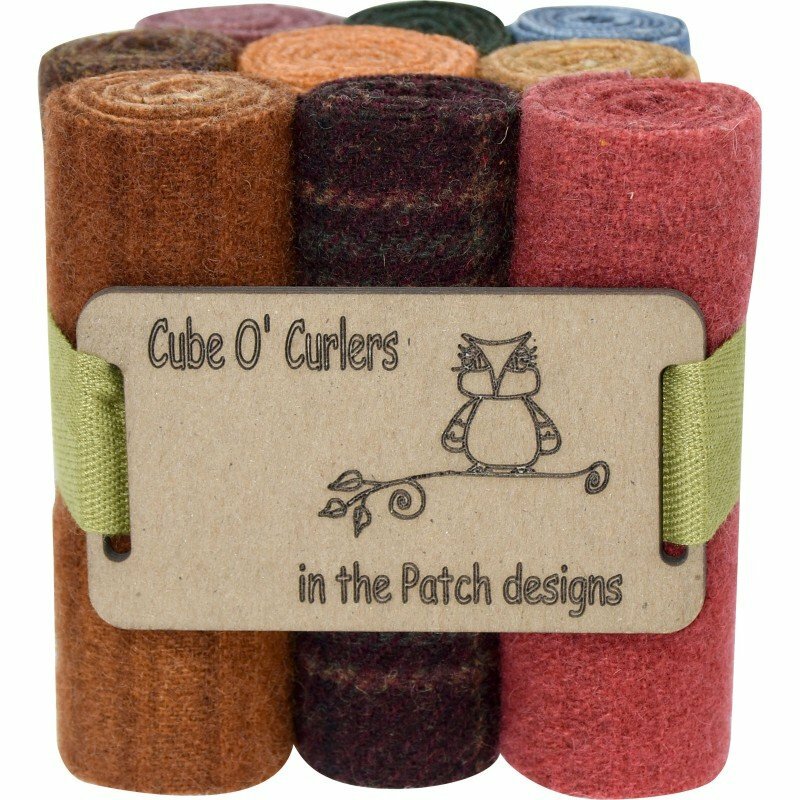 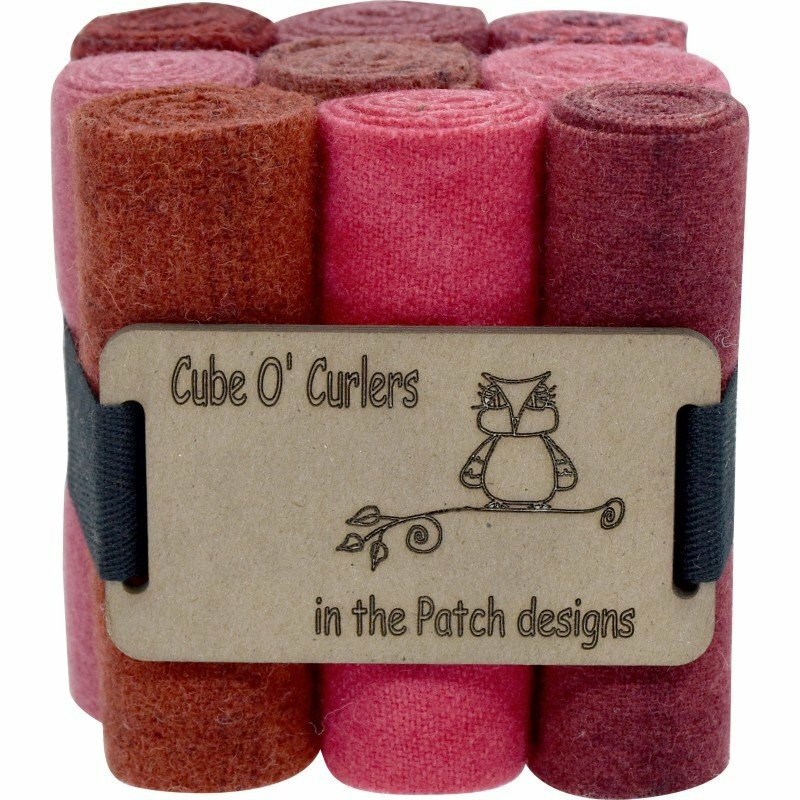 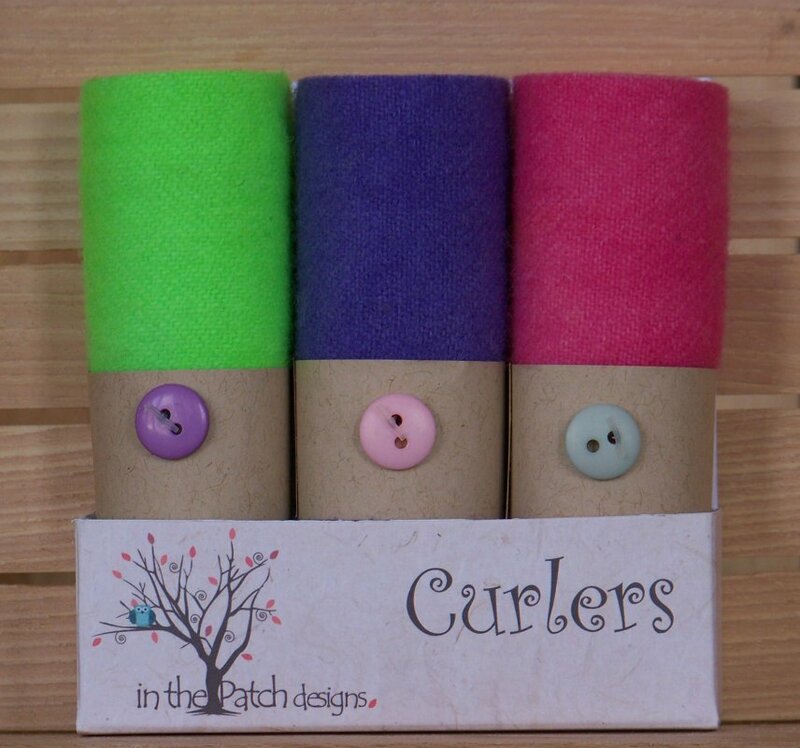 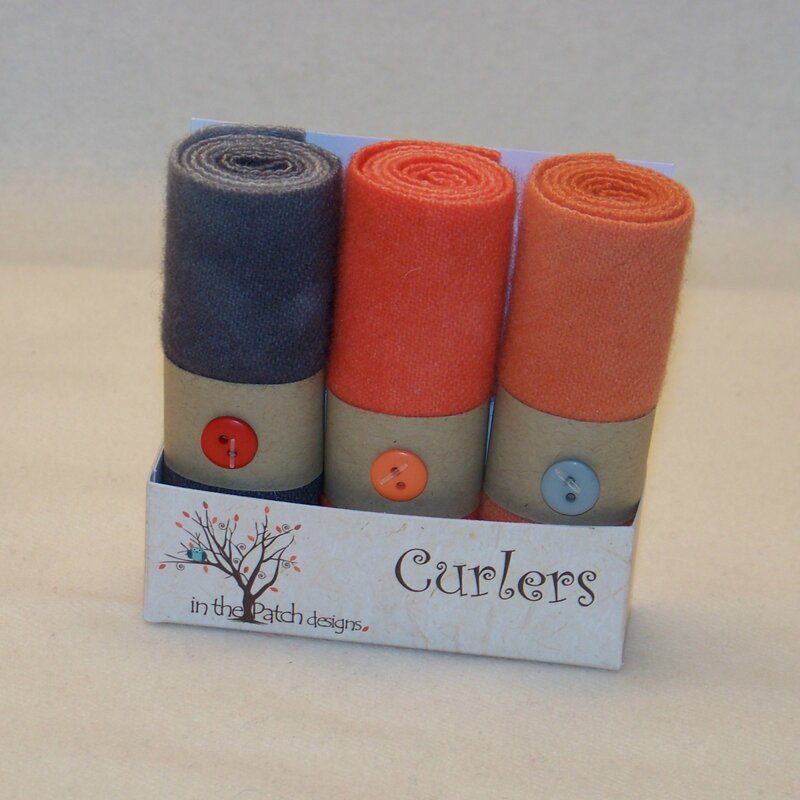 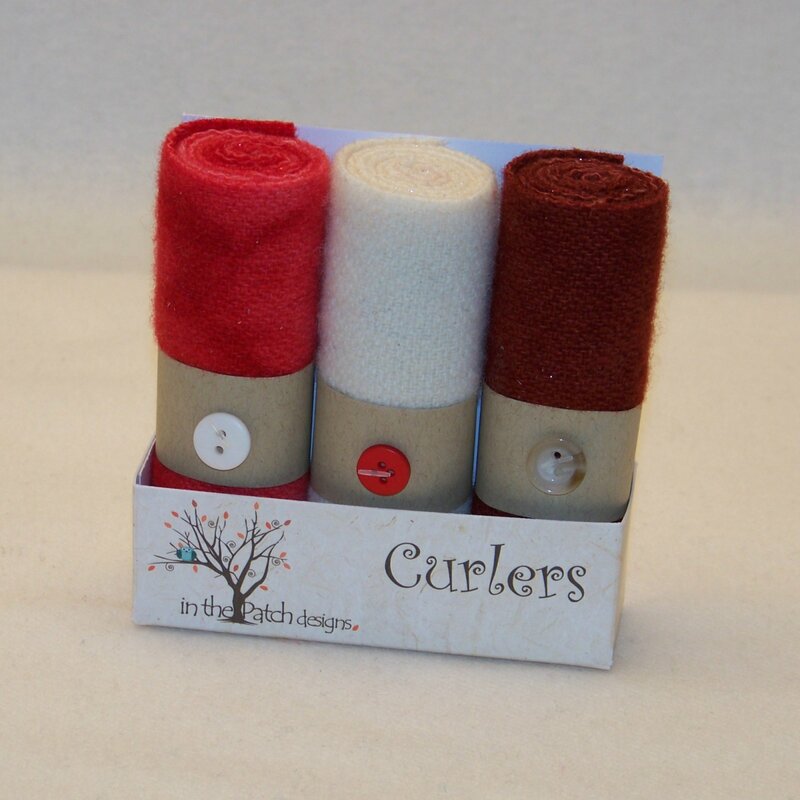 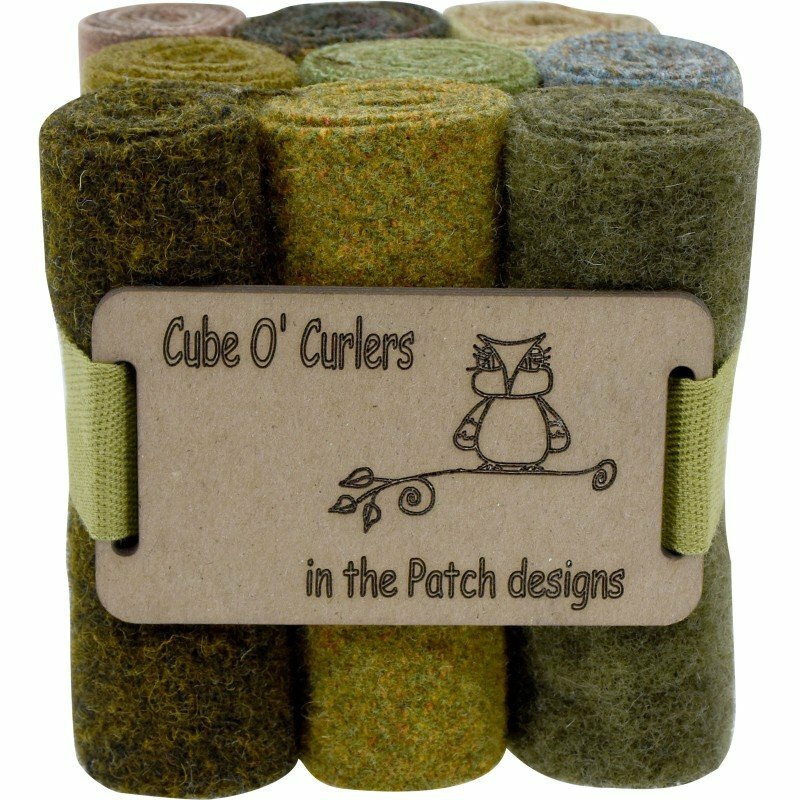 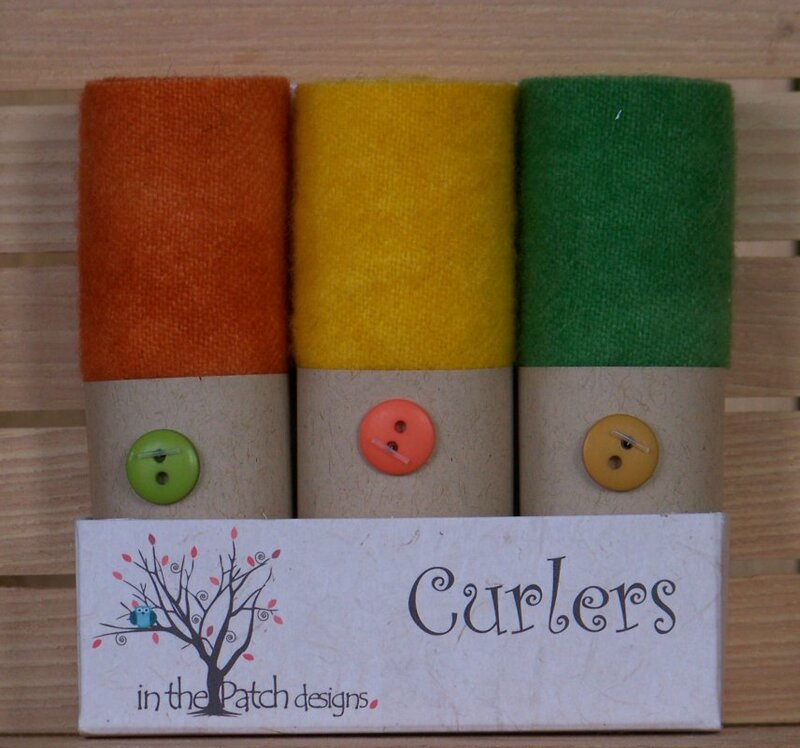 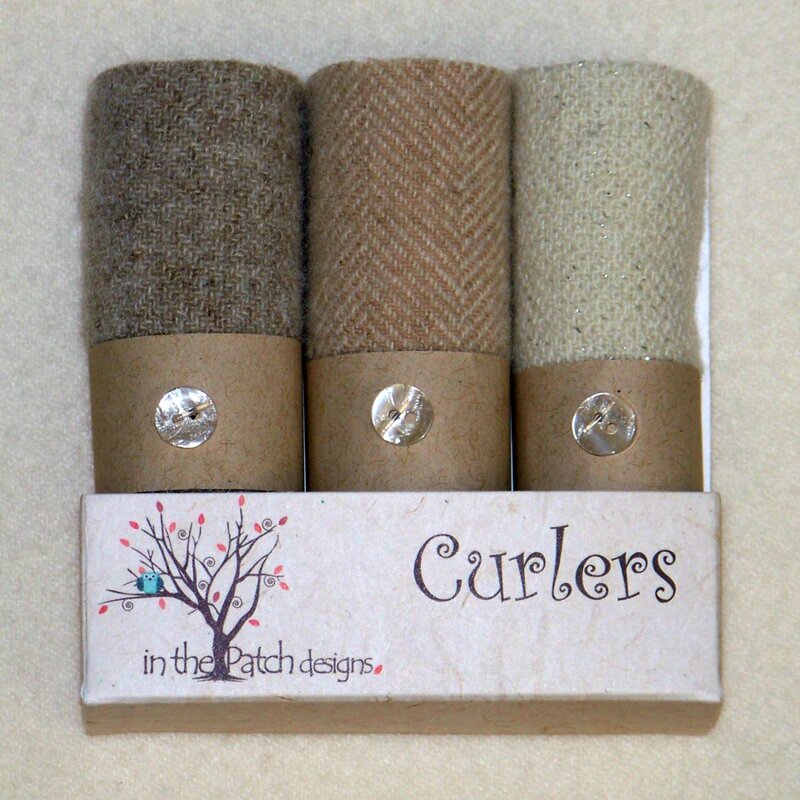 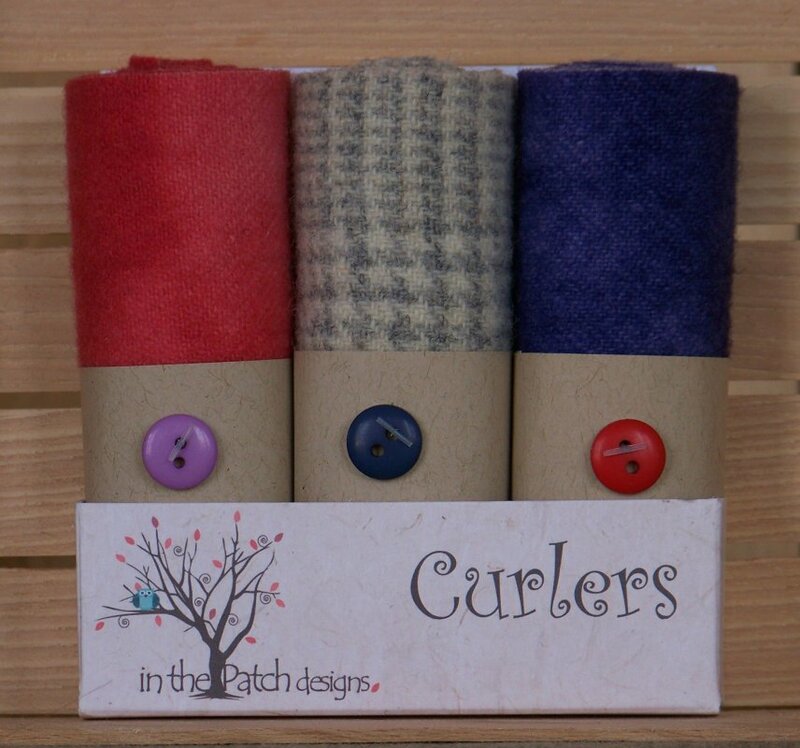 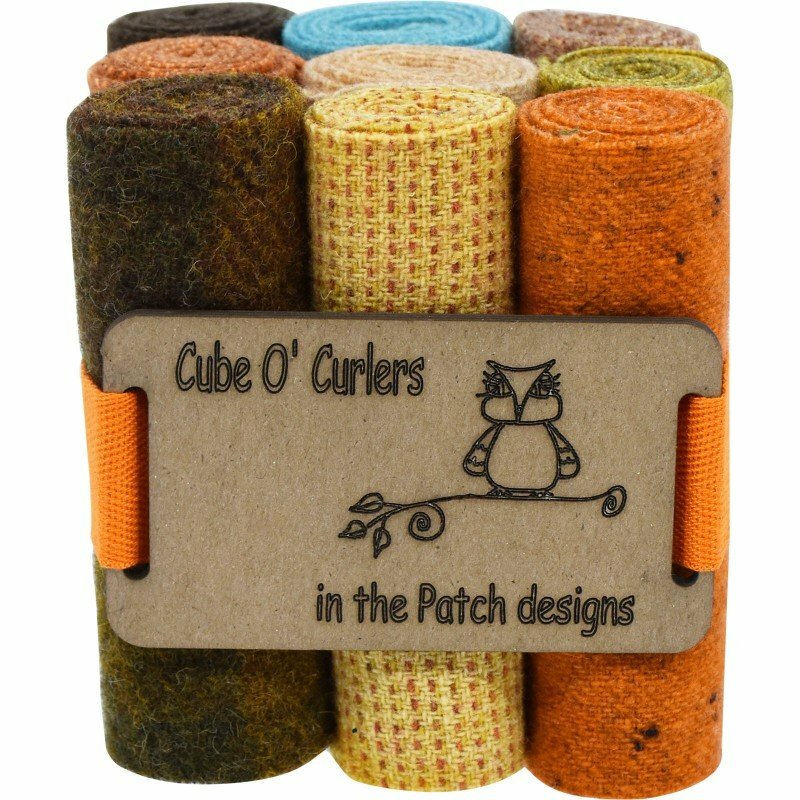 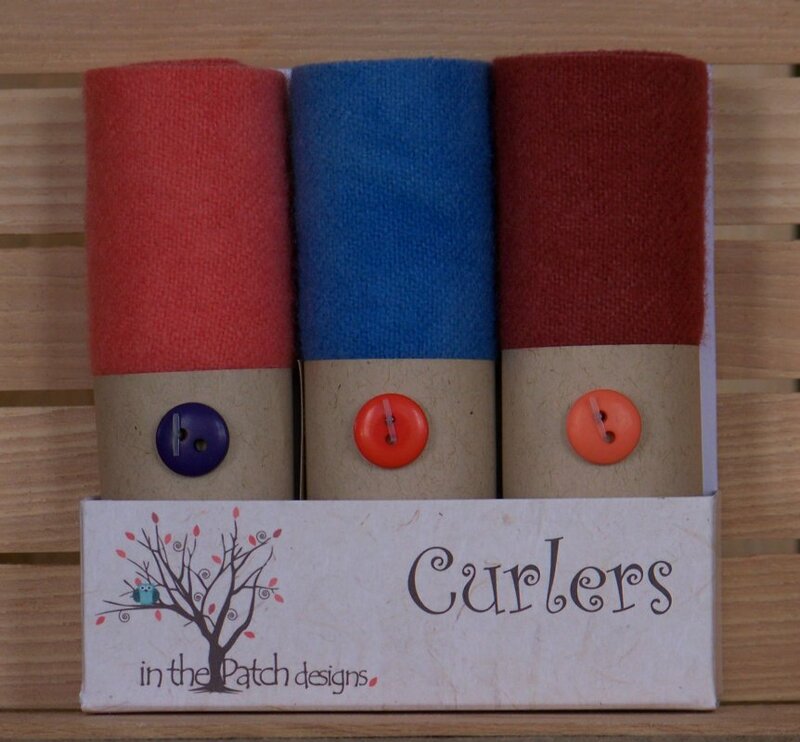 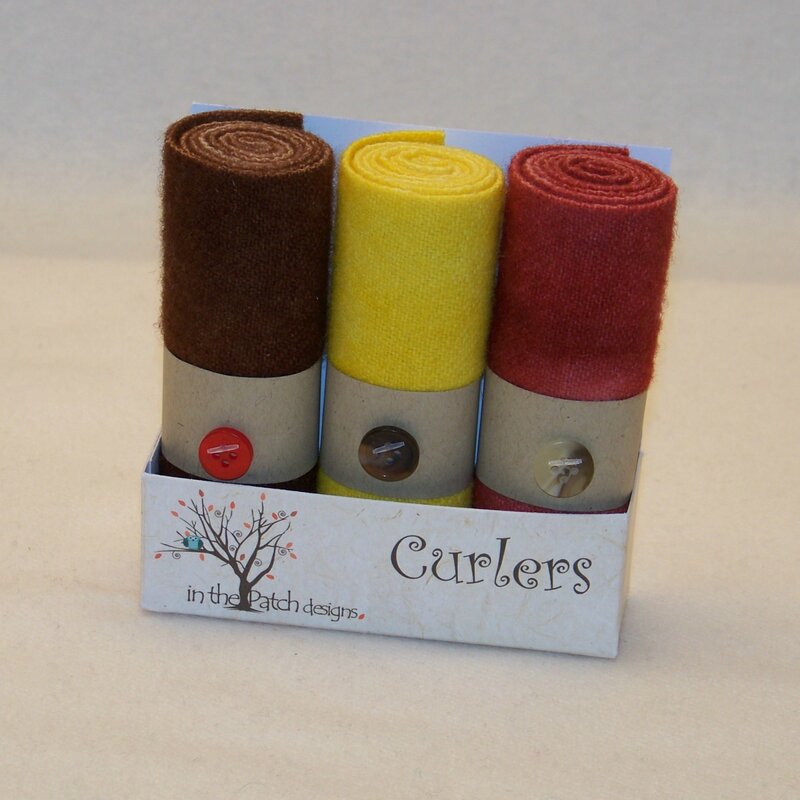 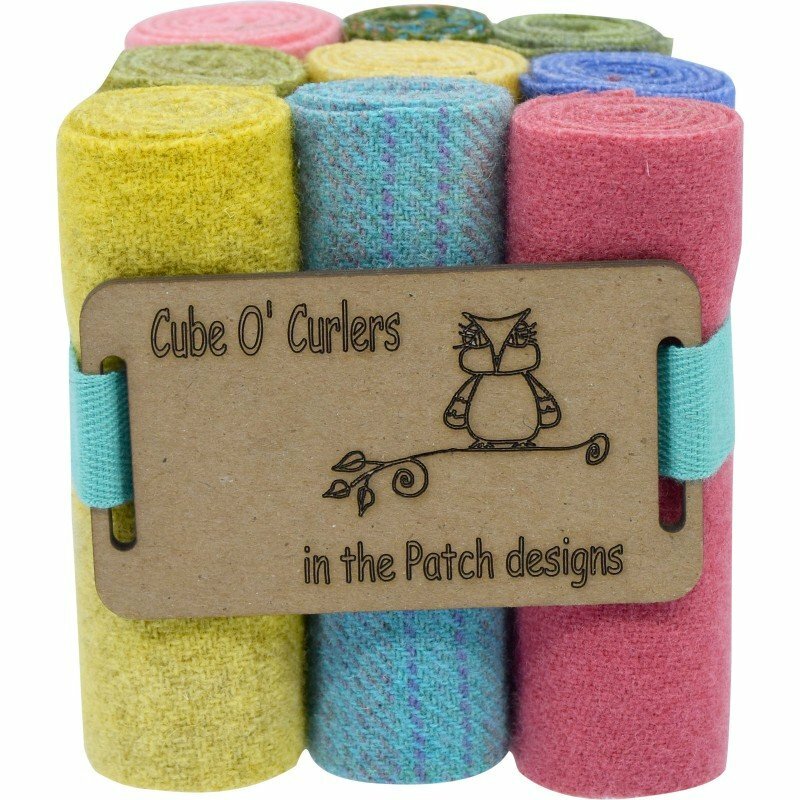 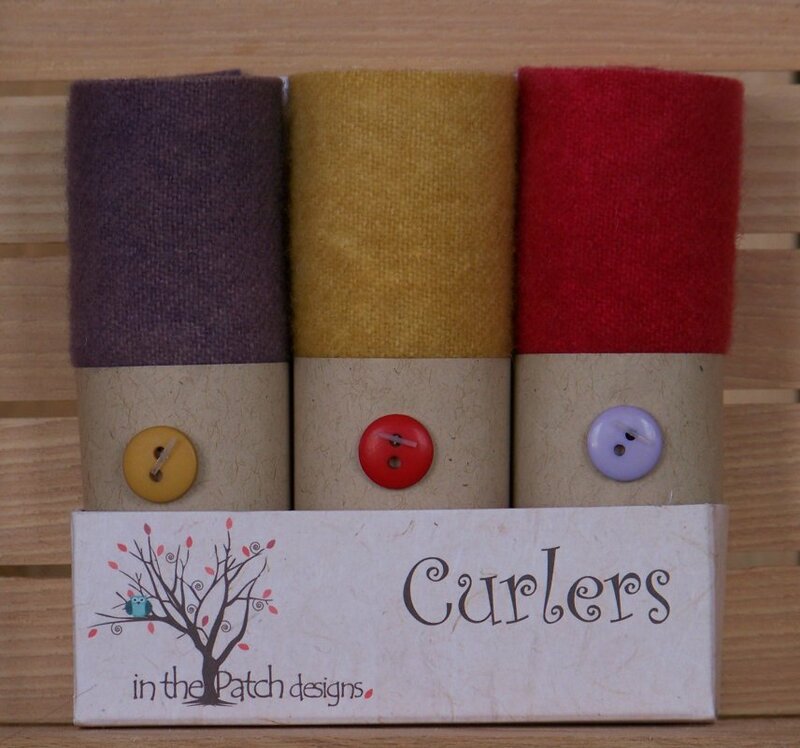 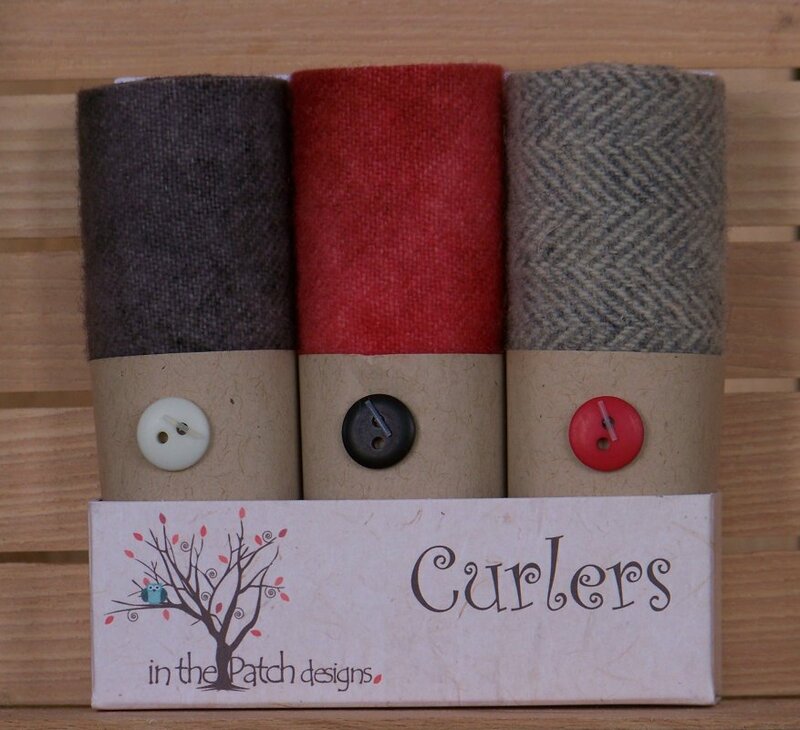 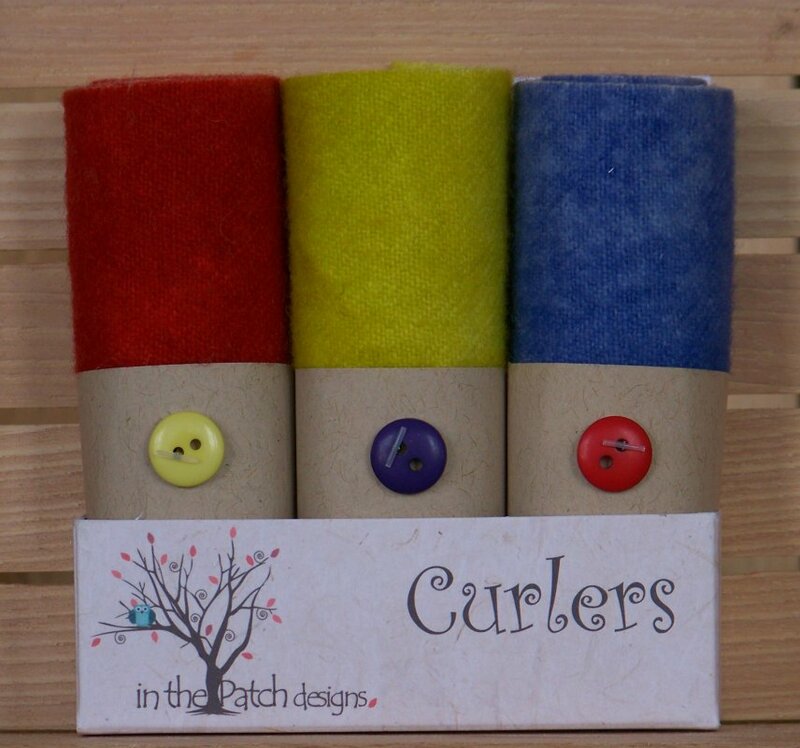 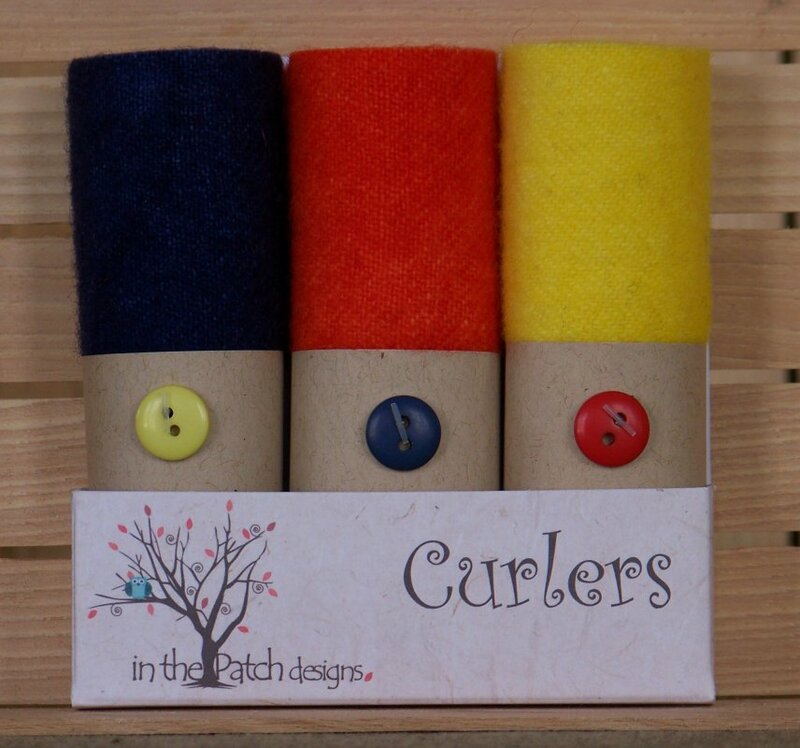 Curlers are 3 pieces of yummy hand, over-dyed, felted wools that measure 4" x 16" each, rolled in a box ready to inspire more treasured projects. 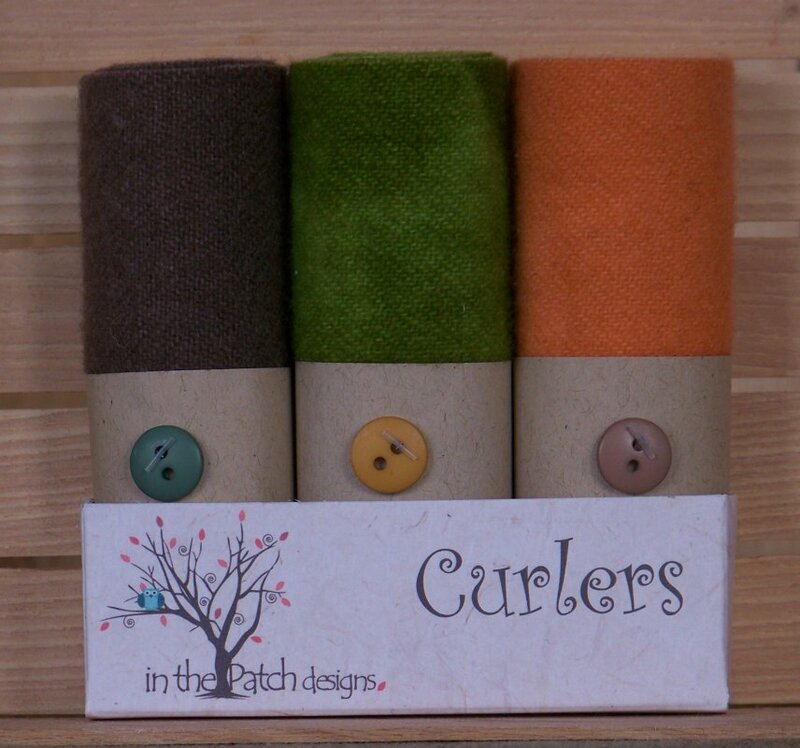 Each Curler listed is described with what colors are in the set. 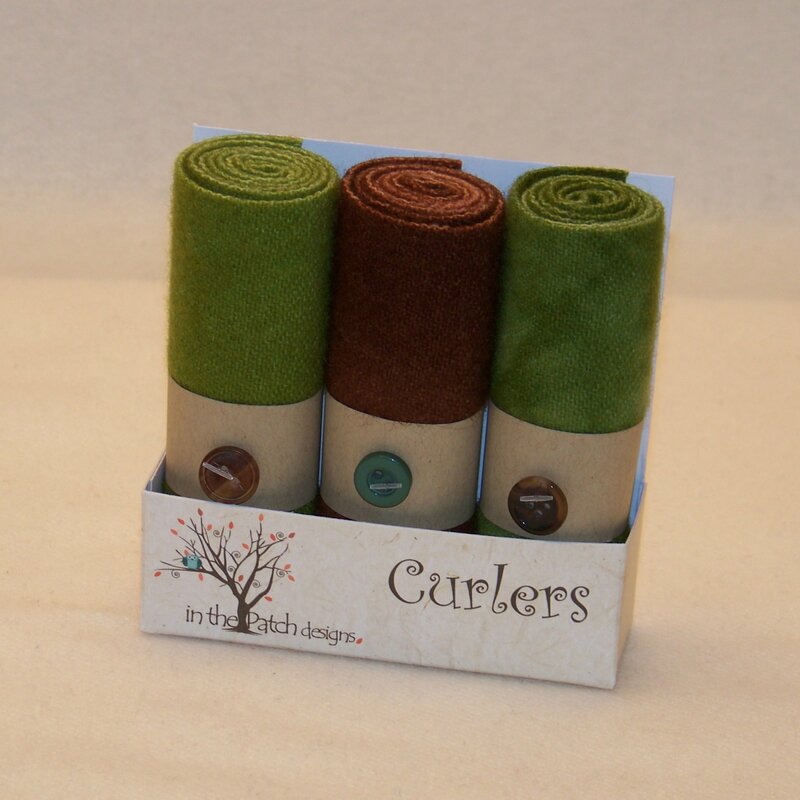 31 choices. 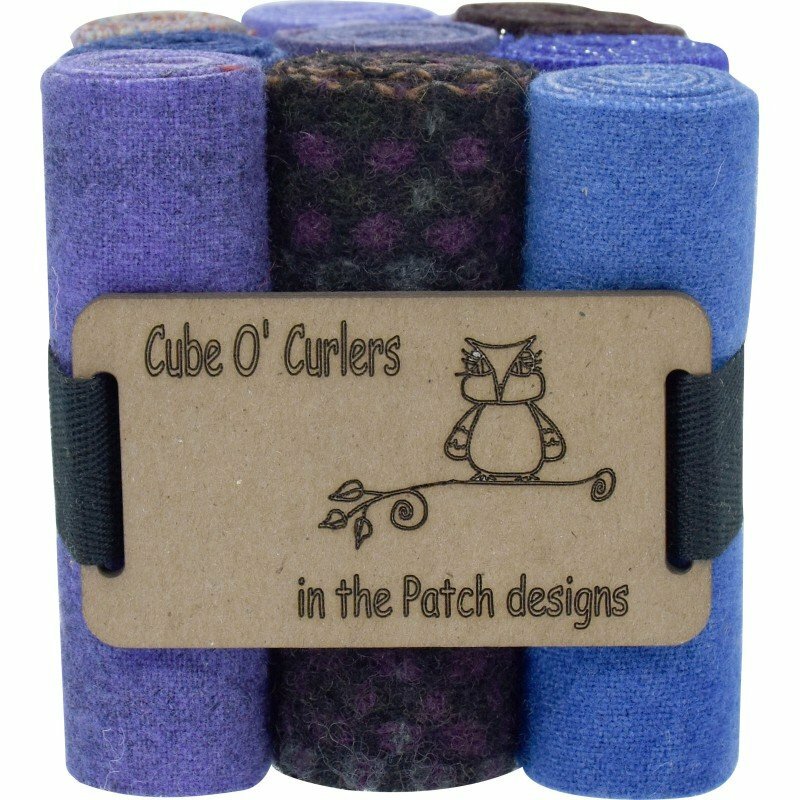 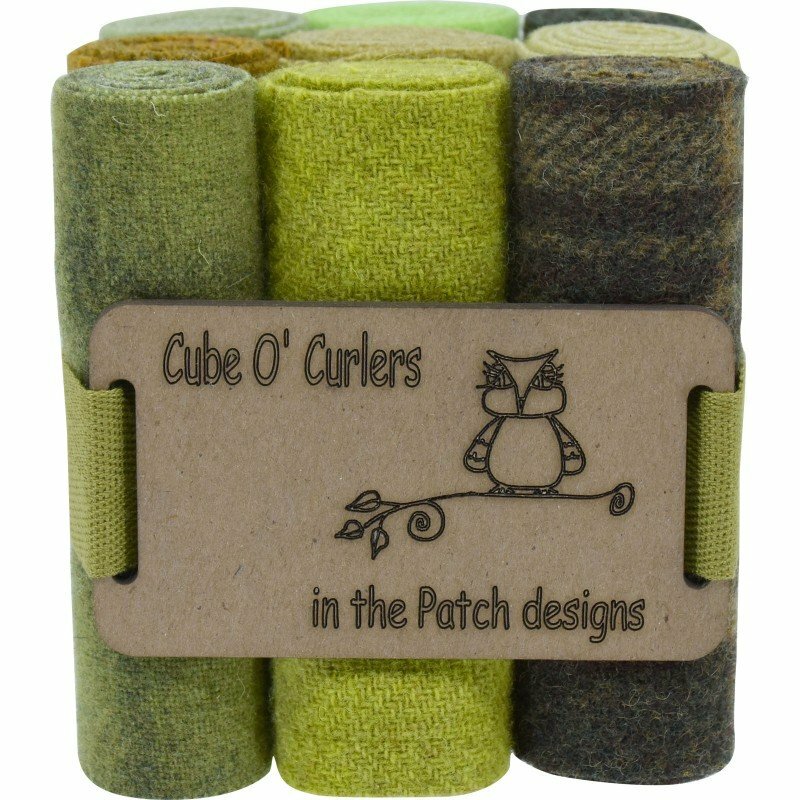 Cube O' Curlers are 9 Curlers, each is 4" x 16", assortment of hand dyed, mill dyed & twinkle wool's. 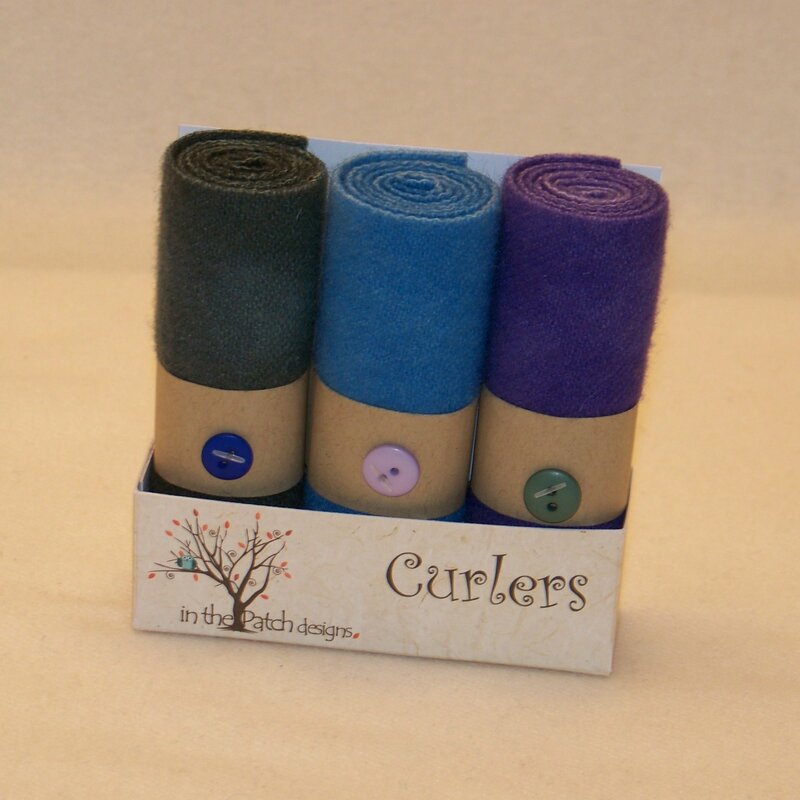 All felted and ready to stitch or rug hook.